If you make a living from your creativity, you are on the line to punch up your revenue. Shows and holiday markets may be a big piece of your annual earnings. They don’t call it Black Friday for nothing. If your creative work is more of a side-hustle, or even a hobby, you may feel obligated to make gifts. You may be expected to help put your artistic touch on things for family/friends or at work. Unfortunately, lots of creative people (well, lots of PEOPLE in general, really!) also struggle with mental health challenges which are exacerbated this time of year. You may face one of these challenges or you may face all three. And, even though lots of us are in this same boat, we try to soldier on silently and do it all. It’s a solid recipe for burnout and a sad state of affairs for a season that is supposed to be joyous. 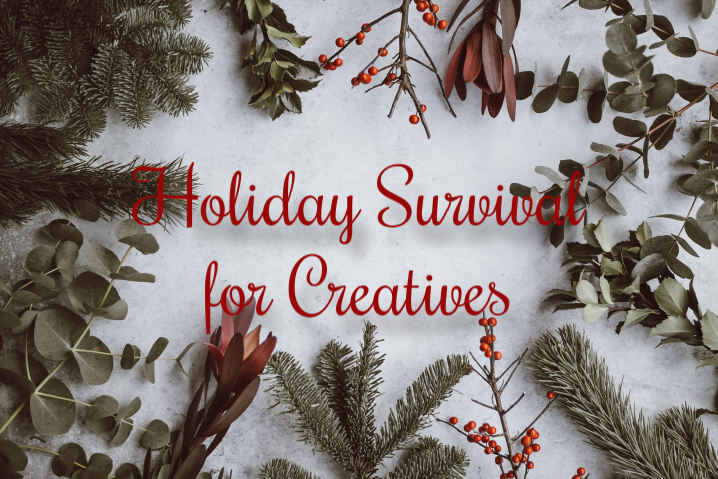 Over the next few posts, I will provide some tips for surviving the holidays. I hope they are helpful! And of course, if you have any suggestions to add, put them in the comments or shoot me a message.